And it helped to reinforce Havana’s reputation as a comfortable cocktail destination for Prohibition-weary Americans. At least three great barmen worked the Nacional’s bars in the early ’30s—Will (or Wil) Taylor, Eddie Woelke, and Fred Kaufman—and all have been credited at one time or another with the creation of the Hotel’s flagship cocktail, the Hotel Nacional Special. It’s likely that all three took part in its evolution. Whatever you call it, it is one of the great combinations of rum and pineapple juice, and one of only a handful that makes good use of apricot brandy. 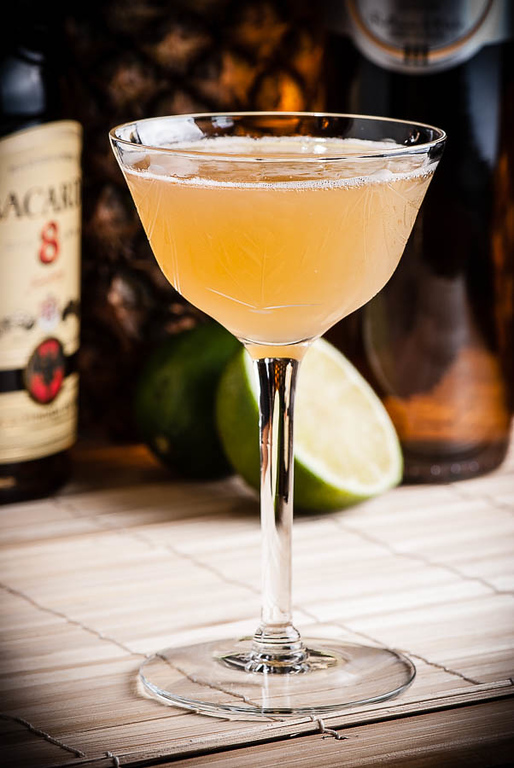 The Nacional is loosely modeled on the Daiquiri, but with pineapple juice providing the sweet counterpart to citrus, and just a touch of the apricot brandy to give it a bit of mystery. The various published recipes differ mainly in proportions, as one might expect of a cocktail that includes not one, but two fresh juices. Shake all ingredients with ice until very cold. Strain into a small cocktail stem. Optionally garnish with lime or pineapple. Most early recipes specify White rums, and nearly all specify Bacardi. By all accounts, Bacardi produced pretty good rums in the first half of the twentieth century, and dominated the Cuban rum market; they would have been a natural choice for this drink. But I don’t feel too bad if I substitute other rums for the universally prescribed Bacardi. In the realm of white rums, I’ve made good Nacionals with Plantation’s 3 Star, with Matusalem’s Platino, and with Caliche. And though the drink is designed for the silver rums, the Nacional benefits nicely from darker rums, too. Bacardi 8 makes a good cocktail; for a sweet, completely decadent version, try El Dorado 12. The proportions in the original listings are quite variable, ranging from 2:1 rum to pineapple juice (with just dashes of the other ingredients), to pineapple-heavy 3:2 pineapple to rum versions. That’s a pretty big playing field; I’ve found that 1:1 works very well, or perhaps a bit heavier on the rum if you’re using the lighter silver rums. Fresh pineapple juice is the key to the flavor in this drink. A juicer makes the juicing task trivially easy, but you can also juice pineapple by running it through a blender, then straining out the pulp and excess froth. The blender route just takes a bit of patience. If you only have access to canned juice, you can mitigate its harshness a bit by substituting lemon juice for the lime. (I have absolutely no idea why this works.) But as with any fruit juice, there is no way to put back in the airy sweetness of fresh juice, or the ineffable softness of its flavor. 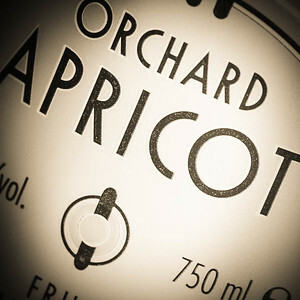 Apricot brandy is a conundrum. There aren’t many to choose from, and some taste like sugared chem lab experiments. In my region, the Rothman and Winter is the only one that delivers a clean, stone fruit flavor and aroma. The R&W is slightly sweet and has a distinct, light apricot flavor (and a pleasant, stone fruit nose) that adds a nice earthy dimension to the pineapple. If you balance it just right, there is just enough apricot that you’ll know it’s there—and would miss it if it were left out. The flavor of the Hotel Nacional Special is light, fruity, and open. The drink is relatively low in alcohol, and it seems like one of those island drinks that you could sip on the beach (or on the deck overlooking Havana Harbor) all afternoon. With silver rums, there is hardly any sense of the rum’s presence in the drink at all. The flavor is dominated by the pineapple (another reason to stick with fresh juice), with a little tart note from the citrus and an almost invisible low earthy note from the stone fruit. The idea behind good Cuban- and Puerto Rican-styled rums is that they should be light and crisp, but still have some presence. The Hotel Nacional Cocktail is a perfect vehicle for that idea. Despite Baker’s preference for gold Bacardi, it should really be made with silver rums; the result is a light, refreshing, and easy-drinking island cocktail. And I could go for a little bit of island just now. “Have one in Havana — the Hotel Nacional Special Cocktail” at cold-glass.com : All text and photos © 2014 Douglas M. Ford. All rights reserved. You always amaze (but that is not surprising) me with your well-crafted essays and gorgeous photography. Thank you, Bruce, I’m glad you enjoyed it. It’s great to hear from you, thanks for commenting! I’m still learning a few things so I thought you might clarify something for me. You refer to the Rothman and Winter Apricot Liqueur as a brandy. Correct me if I’m wrong, but strictly speaking it’s not a brandy. It’s, well, a liqueur. I happen to have an actual apricot brandy (Zwack Pecsetes Barack Palinka Apricot Brandy – say that 3 times fast!). Liqueur versus brandy – is it just the amount of sugar that’s different? Other key differences? Are the apricot liqueur and apricot brandy interchangeable here? Thanks and enjoyable post as always. I would love to try Zwack’s brandy sometime, but I’ve never found it in my Minneapolis region—which puts me in the same boat as most of the rest of the country. I suspect that a Nacional made with the Zwack (or the two three other artisan apricot brandies I’ve heard of) would be a bit less sweet. It would be interesting to see if that’s and improvement, or if you’d want to doctor the drink with a bit of sugar. I look forward to being able to find out some day. Thought I should clarify as I see 2 posts from 2 Bruce’s. The post on May 20th is from Bruce T. not Bruce C.
Thanks for the clarification. I’ll read more slowly after this!